Who knew that one TV show could enlighten us in so many ways! As the Muslim world is sucked into the hysteria of Ertugrul and similar Ottoman dramas, its crucial that we uncover what is historical fact, and what is purely for entertainment purposes, if we want to truly benefit from the history of the Ottoman period. 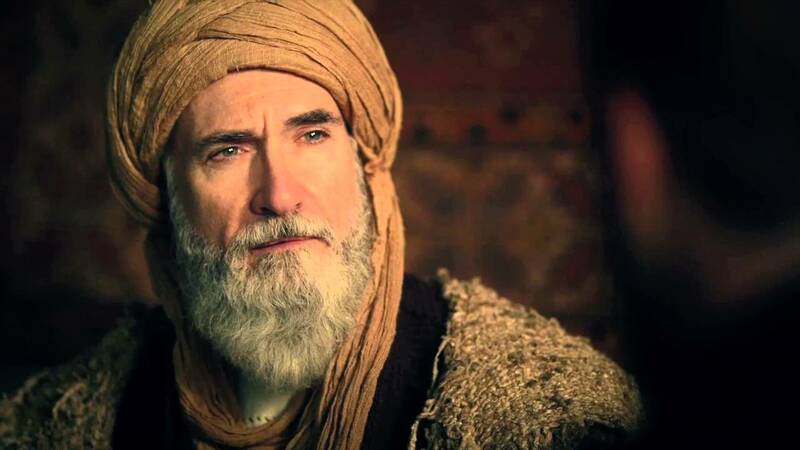 I too, love watching Ertugrul and similar shows like ‘The Magnificent Century’ and ‘Yunus Emre’ which teach so many great life lessons, not to mention incorporate Quranic stories and Hadith. But at the same time instead of creating fictional heroes, lets celebrate the truth in the history and appreciate our heroes for what they ACTUALLY did. I have collated information from various Turkish sources and posts on social media (with references) from emerging information about the many valiant characters that we have grown to love from this TV series. This is not a complete account of their lives, but I have included the information that is historically proven. InshaAllah as more translations come to light we can piece together more about their lives. Enjoy! 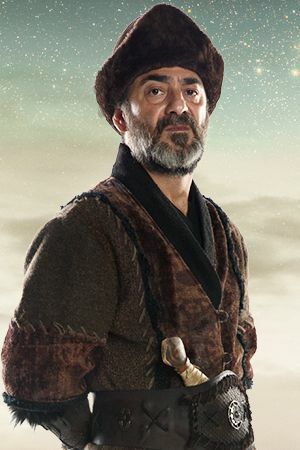 Ertugrul is the father of Osman. With the small part of Kayi tribe, Ertugurl with only 400 tents, went on the challenging path toward the West and made foundation for one of the greatest empires. After Sultan Aleaddin was poisoned by Sadettin Kopek, he revolted against Kopek’s government, and proclaimed his own State, the City of Sogut its capitol. His love and respect for his wife was widely known. He had four sons with Halime Sultan, and he died at 90 years old. The last ten years of his life were spent quietly in his tribe, when due to the old age, he transferred all his responsibilities to his youngest son Osman. A historical proof of his life are the coins minted by Osman which identify Ertuğrul as the name of his father, but beyond this not much is known about him apart from folktales. There is information and historical facts about him that are kept in Turkish archives, within Ibn Arabi’s chronologies, in Western archives about Templars, in Byzantine’s chronologies and in legends – but this information only amounts to around 7 pages of sources according to the actor Engin Altan Duzyatan, who gave life to this great character. Despite this Engin considers it a great privilege to play Ertugrul as he was the first person in Turkish history to move away from the nomadic lifestyle and look to establish a state that went onto last 600 years. We do know he was buried in Sogut in 1280. Around his tomb are graves of Halime Sultan, Hayme Mother, his sons, Gunduz, Savci Bey, Saru Batu and Osman, his brother Dundar, Turgut Alp, Samsa Alp, Abdurahman, and many others of his Alps, who reached Sogut with Ertugrul Bey. The ones that were not buried there, died along the way. Osman is known as the father of the Ottoman Empire as from his Beylik (principality) the expansion of the Ottoman territory began. In the history books you will often see Ottoman rule referred to as the Osmanli dynasty. Osman came very late to his parents. He was born late in Ertugrul and Halime’s life. 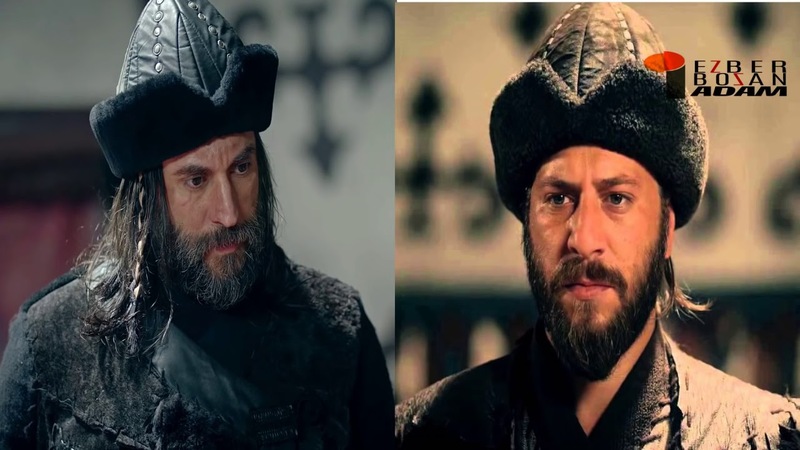 When Osman was born, (1258), Ertugrul was around 67 years old, and as Halime was older too, when normally women cannot have children anymore, he was considered as a Miracle sent by God. Historians consider a black hole in Ottoman history during Osman’s life as what is written about him was uncovered 100 years after he died. They did not support Ertugrul’s path and as we know, and over time faded in history. They lived a quiet and unremarkable life, not much is known or written about them. There are only verbal accounts, which were told by people through generations. According to that, they suffered big losses during a great Mongol invasion, and what was left of them, they lived subserviently under the Mongol’s rule. He was a brave and renown warrior, a goodhearted and loving man, devoted to his brother, his tribe, and his family. But history documents him as a weak personality and he made a lot of mistakes and throughout his long life. He died aged 92 or 93, by Osman’s hand. He rebelled against one of Osman’s decision and that was the last straw for Osman. 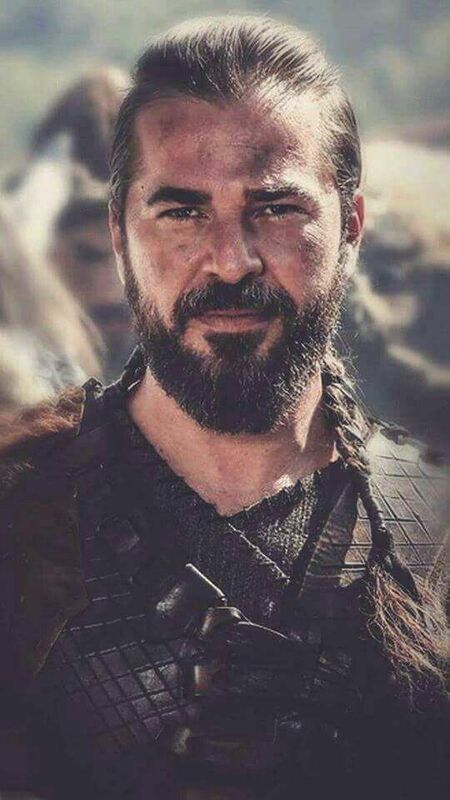 He was one of the greatest and most renown warriors in Turkish history, a blood-brother to Ertugrul and his best follower and supporter, a very smart and capable man.He lived an unusually long life, even for our time. He outlived Erugrul Bey by 35 years, and he was killed in a battle, with his legendary battle-axe in his hand aged 125 years old! After Ertugrul passed away, Turgut become the main support to Osman, and when Osman established his Sultanate he rewarded Turgut with the highest position, as a Governor of the new State. 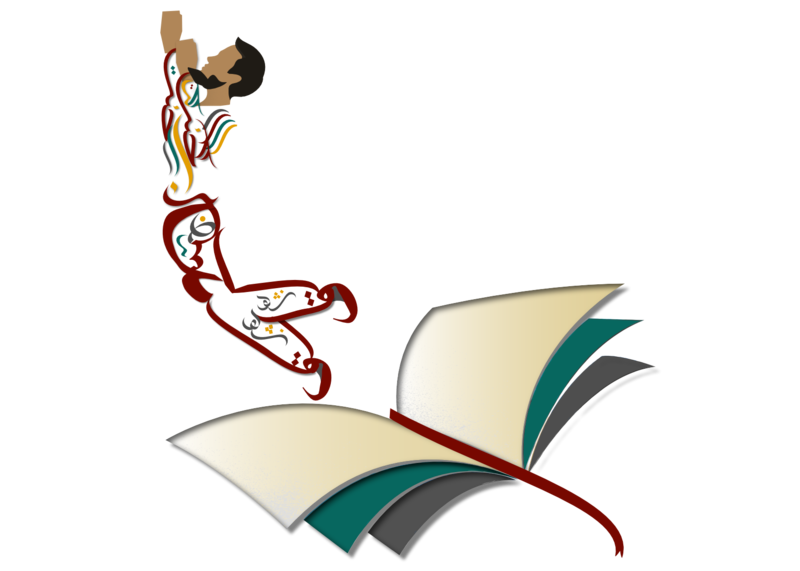 He was a legendary hero; his life has been described in the book of medieval Ottoman’s chronologies of that time, titled ‘’The book of Dede Korkut” . He was a fierce warrior, goodhearted and very funny man. His love life was legendary, since his heart was divided between two loves. He spent 16 years in a dungeon in Byzantine, and the Princess, who lived in that Fortress fell in love with him and helped him escape. It is not known when he died or how long he lived; only that he lived fairly long for that time, and that he was ambushed by trickery and killed, leaving behind a wife and children. We may only guess how long this character will be kept in this series. As many of us know Ibn Arabi is a famous chronologist, mystic, philosopher, poet, sage, he is one of the world’s great spiritual teachers. Ibn ‘Arabi was born in Murcia, Andalusia, in Spain in 1165 and his writings had an immense impact throughout the Islamic world and Christian world. The universal ideas underlying his thought are of immediate relevance today. He was great inspiration and support to Ertugrul Bey. He died 1240 aged 75. After his death, Ertugrul Bey continued to draw support from Ibn Arabi, through his numerous writings, books, diaries, teachings and his other spiritual works, and through his followers. She was a Seljuk Princess, very dedicated to her husband and his greatest supporter. She gave up her title and her Palace’s life due to her love and dedication to Ertugrul Bey. Through her marriage to Ertugrul Bey, Seljuk Turks and Oguz Turks, two greatest Turkish branches were irrevocably united by blood ties. She lived a long life and she came with them all the way to Sogut. She was a smart, caring and brave woman, who acted as the Bey of her tribe, after Suleyman Shah had died. She was widely much respected and she was called ‘’the Mother of the people’’. It is not clear whether she gave birth to Gundogdu, she certainly brought him up. According to one line of sources, Gundogdu was her own son. But, since Suleyman Shah had lost his first wife, before marring Hayme, there are some who believe that Gundogdu was born by that young woman. He was a greatly respected figure of that time, he had 4 sons with Hayme Mother. He died by drowning in River Euphrates, and the spot near Aleppo, where he was buried in a sacred place for Turks which is now in modern day Syria, and that territory still belongs to Turkey, it is guarded by Turkey’s military guards and you need a passport to get in there, to see the mausoleum of Suleyman Shah. Although due to the emergence of ISIS and the recent ruin of shrines and tombs from extremists, the remains were temporarily removed last year due to the situation around Aleppo, and brought to Turkey to preserve. According to Ottoman sources Saddetin Kopek is considered an ambitious and evil man, his only good quality was his devotion to his State. He eventually managed to kill Sultan Aleaddin, his second wife, the Ayyubid Princess and their two sons by poisoning in 1238. He then proclaimed Sultan Aleaddin’s third and oldest son (from his first marriage), as a new Sultan through whom Kopek gained a total power. However, only one year later, he was hanged from the Palace wall. Known as Ertugrul Bey’s right hand man in the TV series, but there is so much more to his story! Artuk Bey (also known as “Son of Eksük” or Ibn Eksuk) was a Turkish General of the Great Seljuk Empire in the 11th century. He was the Seljuk governor of Jerusalem between 1085–1091. Artuk Bey lived in Qüddus up to his death in 1091. Artuk Bey was one of the commanders of the Great Seljuk Empire army during the Battle of Manzikert in 1071. After the battle, he took part in the conquest of Anatolia on behalf of the Seljuk Empire. He captured the Yeşilırmak valley in 1074. He also served the sultan by quashing a rebellion in 1077. His next mission was a campaign to capture Amid (modern Diyarbakır) from the Marwanids. In this campaign he quarrelled with the Commander in Chief Fahrüddevlet who tended to make peace with Marwanids. In a surprise attack he defeated reinforcements to Marwanids. However, when the Sultan Malik Shah I heard about the event he suspected Artuk Bey of dissension. Artuk Bey left the battle field and attended to Tutush I who was Malik Shah’s discordant younger brother in Syria in 1084. In 1086 he was instrumental in defeating Süleyman, the sultan of Seljuks of Turkey in a battle between Süleyman and Tutush. The Beylik of Artukids was named after him, founded 11 years after his death by his sons. His valiant sons are El Gazi ibn Artuk who battled Baldwin II of Edessa at the Battle of Hab, Syria (1119) but lost and Soqman ibn Artuk, the ally of the hot tempered Tugtekin Bey, The Governor of Damascus against the Crusaders in 1104 at the Battle of Harran near Raqqa. On this battle the Seljuk Army finally captured Crusader Knights Baldwin Il of Edessa who called himself, King of Tripoli and Jerusalem and Joscelin of Courtenay who called himself Prince of Galilee. Although, they managed to escape later. Soqman ibn Artuk become famous and a true honour to the late Artuk Bey. Al Aziz Muhammad ibn Gazi (1213 – 1236) was the Ayyubi Emir of Aleppo and the son of az-Zahir Gazi (r) and grandson of the great Salahuddin Al Ayubi (r), the liberator of Jerusalem from the Crusaders and Templars. His mother was Dayfa Khatun(r), the daughter of Salahuddin’s brother al-Adil(r). Al-Aziz was aged just three when his father az-Zahir Gazi died in 1216 at the age of forty-five. He immediately inherited his father’s position as ruler of Aleppo. A regency council was formed, which appointed Shihab ad-Din Tughril(r) as his guardian. Tughril was a Mamluk of az-Zahir Gazi and the effective ruler of Aleppo for the next fifteen years. Al-Aziz did not take actual control of power until the age of seventeen, at which point he retained Tughril as his treasurer. In general, he avoided becoming drawn into the complex disputes between different members of the Ayyubi dynasty, and concentrated instead on strengthening the defenses and infrastructure of Aleppo. Among the construction works begun by az-Zahir Gazi and completed by al-Aziz Muhammad were the re-fortification of the citadel, and, within it, the building of the palace, the mosque, the arsenal and the water cisterns. Al-Aziz is known to have married Fatima Khatun, daughter of al-Kamil, who apparently shared his passion for building and commissioned the construction of two madrasas in Aleppo. Al-Aziz died on 26 November 1236 at the age of just twenty-three. His eldest son, an-Nasir Yusuf, was only seven years old, so al-Aziz’s mother Dayfa Khatun assumed the regency. Surprisingly, Al-Aziz’s daughter, Ghaziya Khatun, married the Seljuk Sultan of Rum, Kaykhusraw II (Giyaseddin Ibn Kayqubad). Yücel, Yaşar; Sevim, Ali (1990). Türkiye Tarihi Cilt I. Ankara: AKDTYK Yayınları. Very informative. 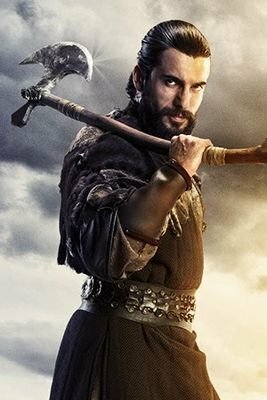 I have not been into this Ertugrul craze but after reading this I long to watch it! Been watching the series and it is brilliant and very well made and the lovely history . It’s excellent piece of information. I watched 179 episodes on Netflix. Amazing. I enjoyed the play and the historical touch of it. Motivated and every episode gave me living experience with the tribe. Leaent many things. Such a wonderful history of the truth was known. Thankyou for your insight of a true historical time. The show has certainly brought this historical journey to life. To watch all the latest episodes of Ertugrul, head over to “Wlext ertugrul”. English subtitles with the videos. Ertugrul was a man of courageous and respected warrior. obviously he has kept the right side and has supported the minor as impartially even the smallest. The problem lies with his descendants, especially Mehmet II Fatih, who directed his crackdown on Christians in Europe, rather than unite forces with them against cruel Mongolians. Why did not that happen? This is about the weakness of the Turks in the face of unbelieving Mongols. If the Turks were to fight the Mongols in alliance with the peoples of Europe, then their fame would rise up too high. Justice does not spread by attacking Christian believers Surah Baqarah : 62; Surah Ali Imran : 55; Surah Zuhruf : 61. But it is often said that the children do not walk according to the example of the fathers (ie, of Ertugrul). Hello & good day all — I am an American, Catholic, Latin woman… (don’t dismiss me yet) and I am absolutely hooked on ‘Resurrection Ertugrul!” I stumbled upon it after watching some of ‘Magnificent Century’ — which, as we all know is more for TV than a historical interpretation, but entertaining none the less. From the first episode of ‘Resurrection Ertugrul,’ I was immediately interested because not only does it involve great action and acting, but I was completely unfamiliar with the history of the Islamic states, etc. (forgive me for not listing the terminology correctly), which launched a google craving for Turkish history. This shows the good and bad on both sides of the coin and how God should lead the way. It’s a very well-done faith series that I will continue watching until it’s over. My only access to this tv show is Netflix so I am up to season 3 when Ural & Ertugrul have a fight in the newly conquered inn formerly owned by Simon (JTB). I now hear that there are two more seasons (I hope I heard correctly) and I am so excited to keep watching. Thank you TEKDEN for making such an amazing series and thank you Netflix for exposing the far reaches of the other side of the planet with the opportunity to enjoy it as well! Hi dear, nothing to dismiss, you are genuinely interested in the series but there is much more to Islam and its legacy. You should try to find out more so that you are not misinformed by the media. Always welcome to ask questions, you can message me and I will try to be of help. 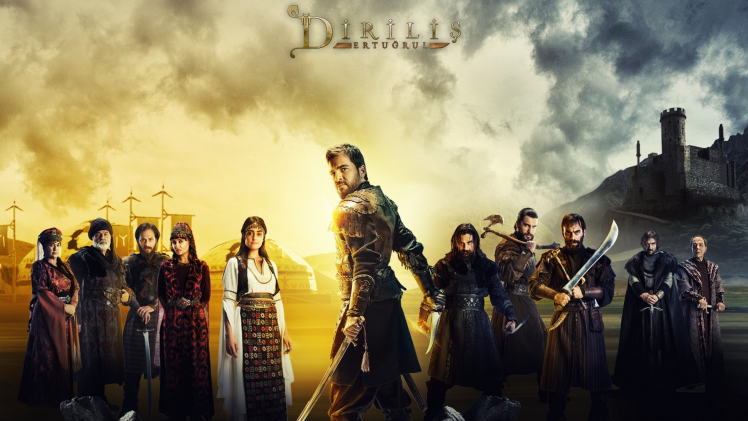 Also here is the best part, you can watch on Facebook, search for ertugrul online…. U will be updated all the way to season five, we r now waiting for episode 143… Totally hooked but dont want it to end either. Olá, gostei muito da síntese, parabéns. Gostaria de saber sobre o Alyar bei, da tribo de Cavdar, ele foi tão importante na serie e você não falou nada sobre ele. I loved this show. I read the deaths of our main characters, only to see that they die so young as apposed to them living a long life. I wander why this is in the movie. Do you know. I really enjoyed watching the Resurrection Erthugrul show even though there were sub titles. Is there a 4th Episode. Hi Pauline, the episodes run all the way to season five. Which season are you asking about? Are there any authentic sources of history describing in Arabis contact with Ertugrul Gazi and by extension the Kayi and Seljuk state.Can you please refer me to some sources .Jazakallah for this research document very insightful. I have only just started watching Ertugrul so there are a few spoilers here lol but very detailed and informative article. Apart from the book by RS Humphreys, is there another that you would recommend to read and learn more? Extremadamente interesantísama la historia Turca!!! !